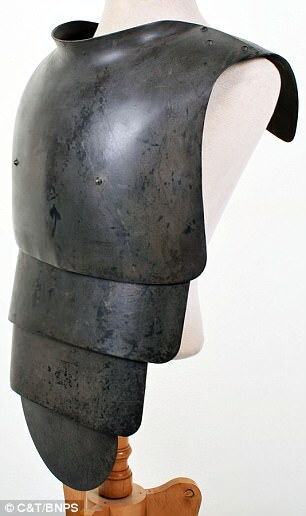 An assortment of barbaric weaponry and body armour used by German soldiers during the First World War is set for auction in Kent. 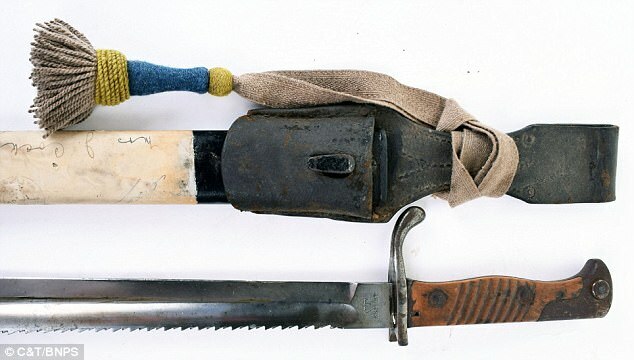 The items include a rare 'sawback bayonet' blade that was eventually banned under the 1929 Geneva Convention for causing 'unnecessary suffering'. While it looks like a long dagger, one side had a serrated edge that inflicted horrendous wounds and could even pull out a victim's insides. 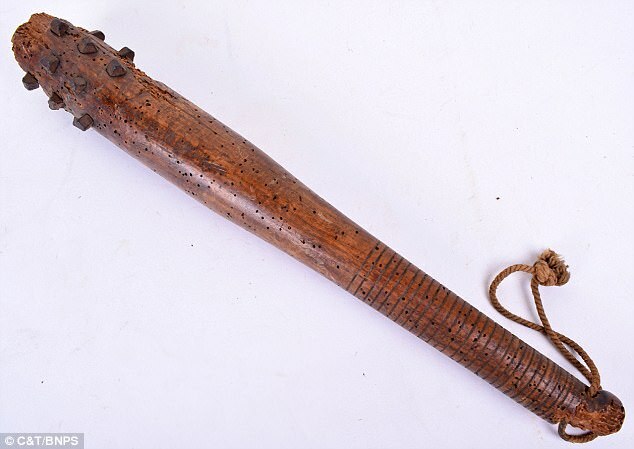 Another weapon up for sale is a wooden club dotted with metal studs, used for stealthy close-quarters combat during night-time trench raids. 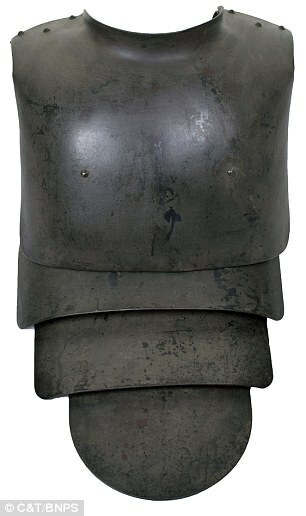 Alongside the brutal weaponry, a rare steel body armour set worn by German troops placed in vulnerable fixed positions is up for auction. The suit was used by snipers and machine gunners, who came under heavy fire once their positions had been exposed. 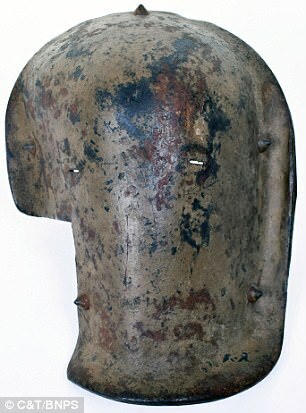 Known as 'elephant armour', the outfit featured a large upper body section and an extremely rare facial defence shield that was known as an elephant plate. 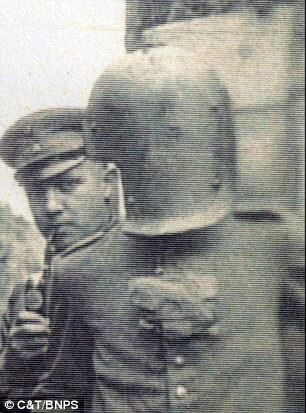 Resembling a welder's mask, the item covered the head and face to deflect incoming fire, and was coloured and shaped to look like a rock for camouflage. 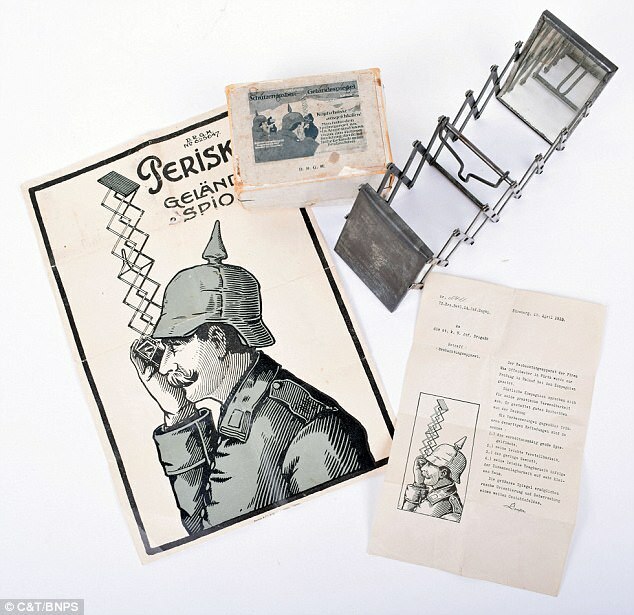 Also included in the lot is a German-issue portable periscope used by troops to safely peer over the tops of trenches. 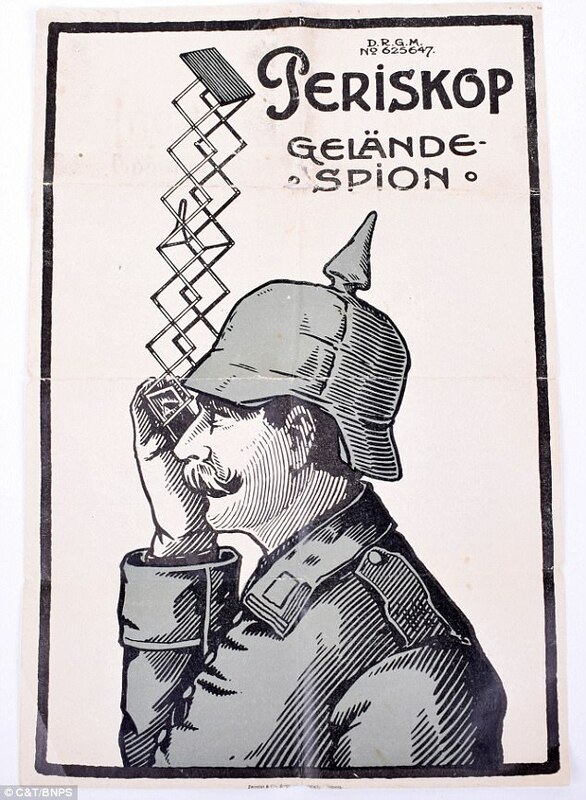 Leaflets and other paperwork informing users how the device works are included. 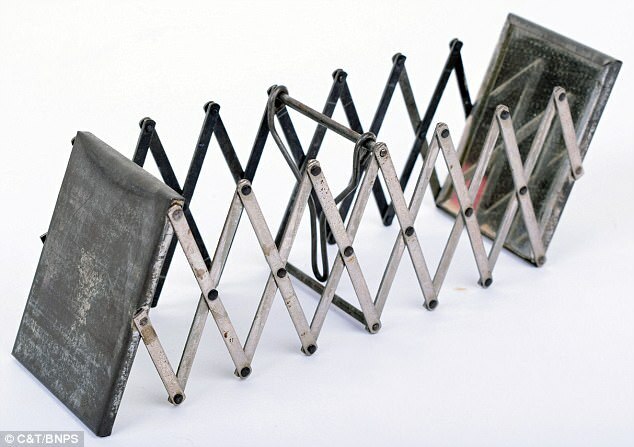 In total, the items are expected to fetch as much as £11,600 ($15,500) when they go up for auction at C&T Auctions of Ashford, Kent, on January 30. They form part of a collection of more than 300 First World War artefacts assembled over 40 years by a private British collector. Auctioneer Matthew Tredwin said: 'A lot of this stuff looks like it was used in medieval times and is completely out of context for modern warfare. 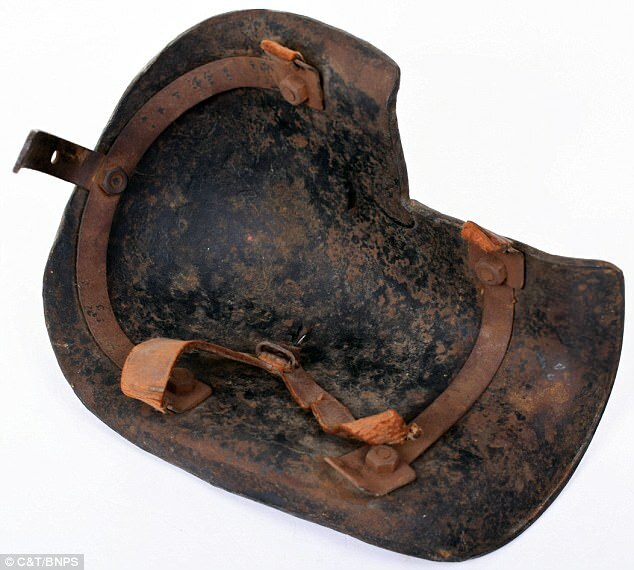 'Some of the body armour and masks would have been very heavy and very hard for infantry troops to have worn but were used by men in fixed positions. 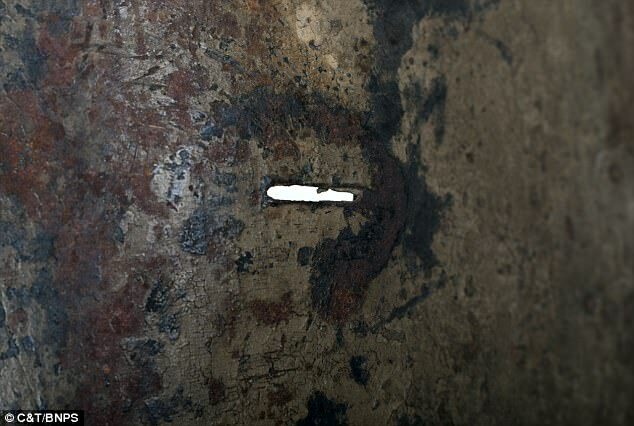 'Some of the weapons that were in use look very barbaric. 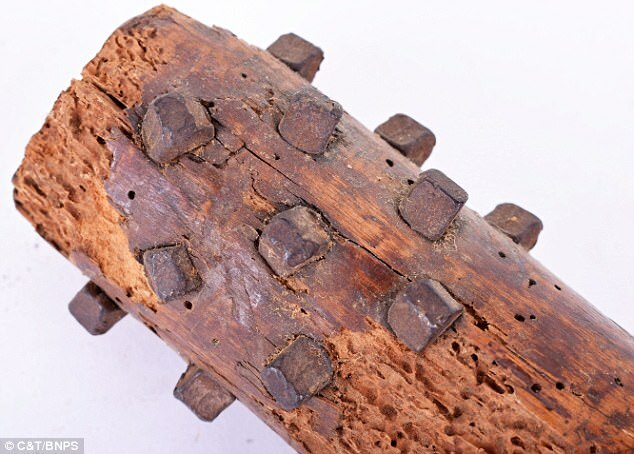 'The saw back bayonet was so dangerous it was outlawed by both sides. 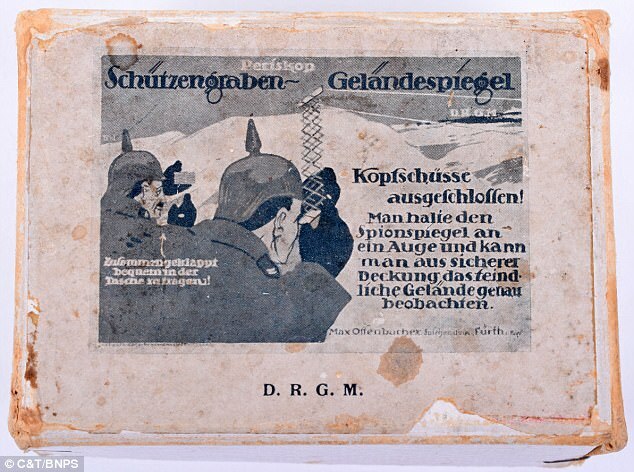 The Germans did make them and use them but if any soldier was caught with one by the British they were shot. 'They are very rare to find today.